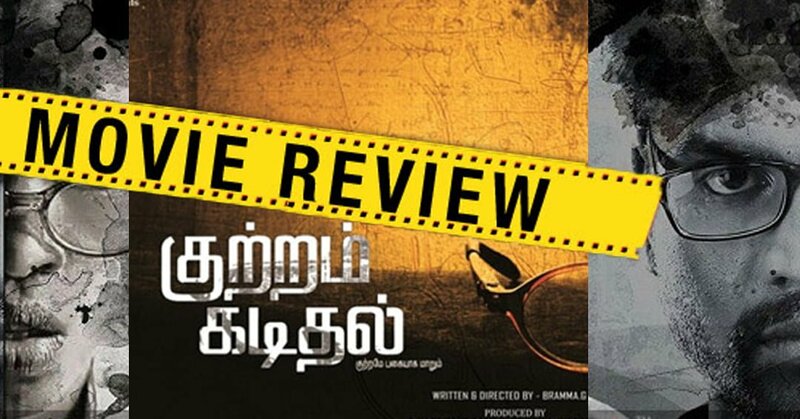 This Film won the National Award for Best Tamil Film and many great response from International Film Festivals .’Kuttram Kadithal’ a film from almost entirely newcomers is making it to the screens. A matriculation teacher Merlin (Radhika Prasiddha) on her first day in school after marriage to her lover Manikandan (Sai Rajkumar) slaps a fifth grade student Chezhiyan (Master Ajay), enraged by his answer to her inquiry about a mischief he had committed. Hell breaks loose as the boy falls unconscious and blood oozes out from his nose.What happens to the child, the teacher and the well-wishers of both the sides forms the rest of the film. Actress Radhika Prasiddha is the heart and soul of this movie. Her performance is only a proof which deserved National Award. Radhika showcased superb emotions. The little boy Ajay has performed well to the best of his abilities. Pavel Navageethan’s performance as a violent communist was nice and the rest of the cast including Kulothungan (principal), Durga (Principal’s wife) and Sai Rajkumar delivered the best performance. Music and background score is nice. The pace of this movie is a bit slow. Some of the emotions that are showcased in this film do not have much depth. Verdict : Makes Tamil cinema Proud ! A Must Watch !! No.1 Tamil Cinema News Website. Get all Latest Kollywood Cinema News Updates Regularly on TamilGlitz.